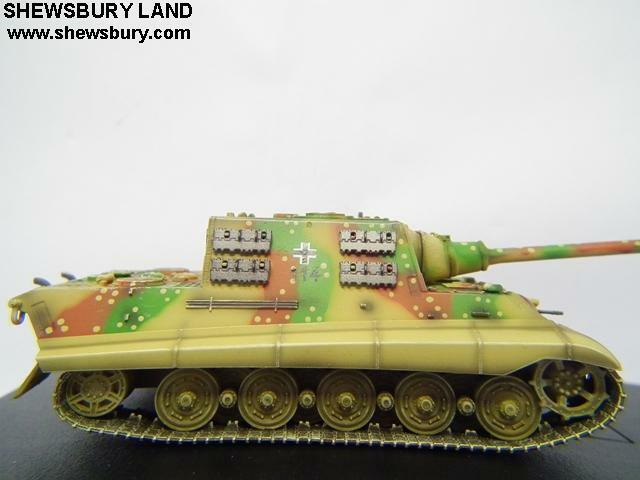 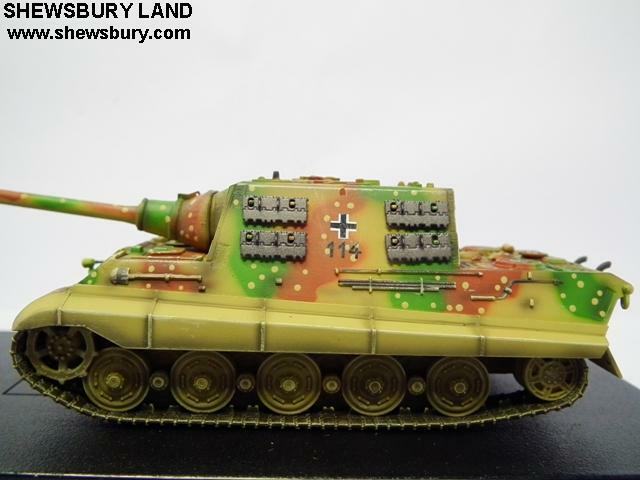 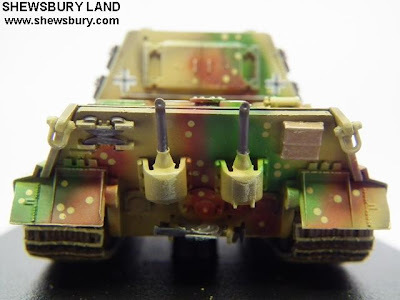 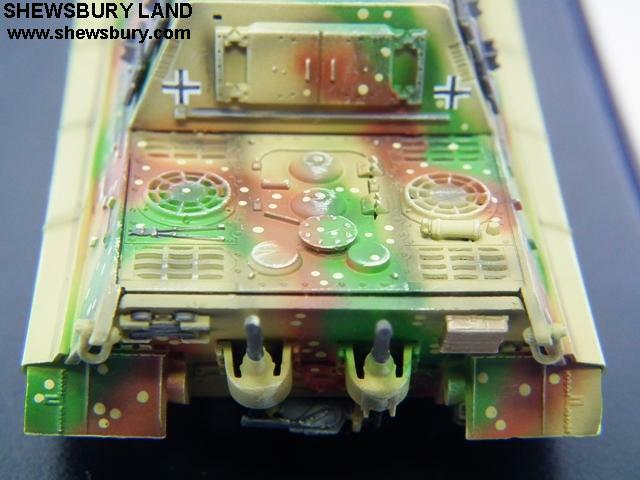 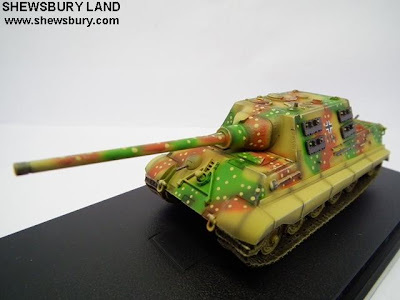 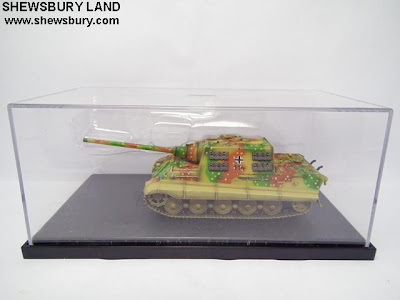 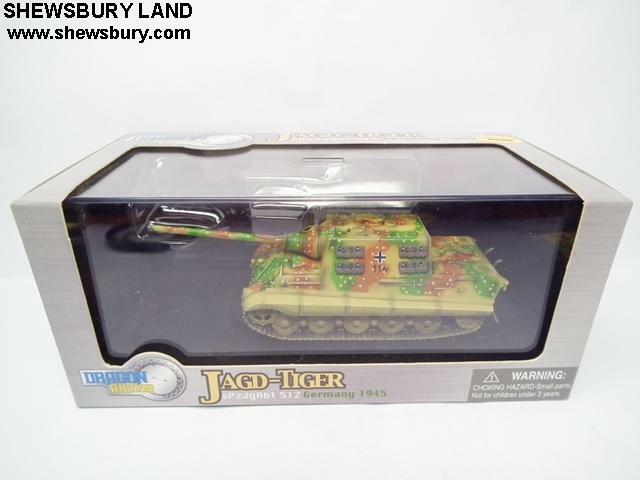 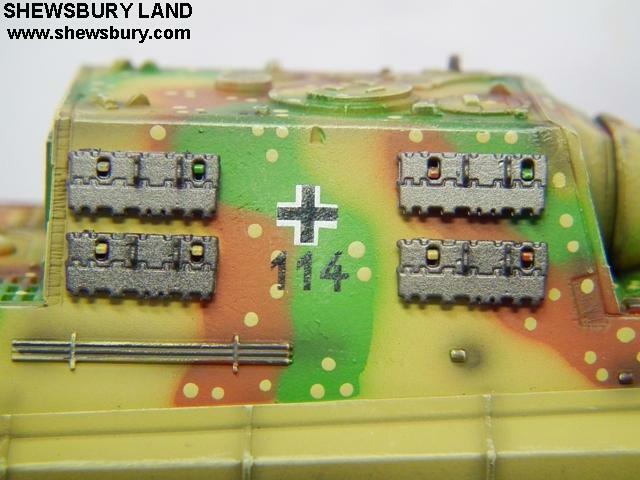 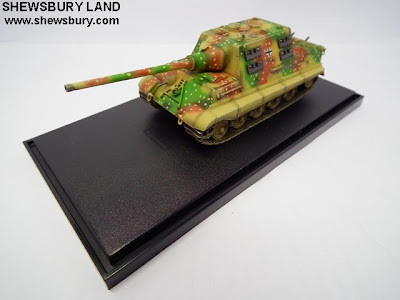 This is the 1/72 Jagd Tiger 512nd H. Tank Battalion 1945. 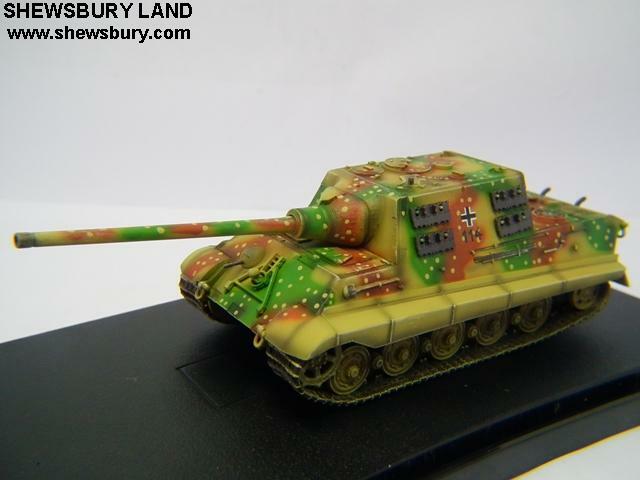 This German "Jagdtiger" tank destroyer belong to the sPz.JgAbt.512, which fought the last battle in Germany in the last days of 1945. 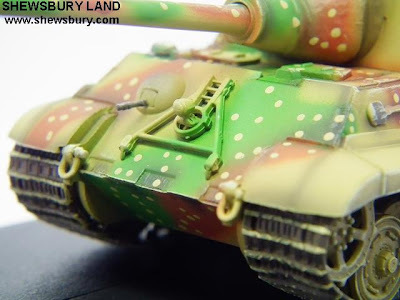 Paint and markings are in the three-tone camouflage scheme with many small dark yellow spots painted within dark green & red brown camouflage. Out of the box... comes packed in a transparent plastic case.